← Who’s the Highest Paid State Employee in California? 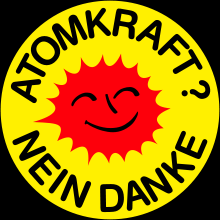 In late May, and in the wake of the Fukushima nuclear crisis, Germany announced that it would phase out nuclear power generation by 2022. Nine active nuclear sites currently supply 22% of German electricity. Another eight are offline. But there’s a hitch in this well-thought-out plan: it gets cold in northern Europe in the winter, and people need lots of reliable energy to stay warm. Since offshore wind energy’s not working out so hot, the Germans may have to start up one of those mothballed nukes to make it through the winter. …Germany’s Federal Network Agency insisted on Tuesday that, should a nuclear plant have to be switched back on for this winter and next, it is only a “temporary solution.” After that, a spokesperson added, there should be enough coal-fired plants to fill the gap. [Chancellor Angela] Merkel and her government have celebrated the phase out of nuclear energy in Germany as an “energy revolution” and vowed to make up for the capacity lost through the reactor shutdowns through billions in investments in renewable energies and energy savings measures. But according to a report in the daily Berliner Zeitung on Wednesday, some of that money has now been earmarked to subsidize the construction of new coal-fired plants. Citing a statement issued by the Economics Ministry in response to a formal query from the Green Party, the paper reported that over €163 million ($229.3 million) is to go toward subsidizing the construction of coal- and natural gas-fired power plants in both 2013 and 2014. The money, generated by the trade in CO2 emissions certificates, is reportedly to come out of a fund originally earmarked to finance projects aimed at promoting energy efficiency. So that leaves natural gas, which delivers a megawatt of electricity at a little over double the cost of coal. Dependable, cheap coal. Dependable, clean natural gas. Good old fossil fuels. Personally, I don’t see what was so bad about the nukes; when is the last time you heard about a devastating tsunami in the Baltic? The moral of this story is that if you leave your energy planning up to a bunch of greenies, you get an unreliable and impractical solution that no one can afford. It might warm the cockles of your heart for a while but it will freeze the other ones off. Via The American Thinker. H/T Dave A.T.N.